My remodeled bathrooms look great! Mercury Contractors did an excellent job of creating just what I wanted. They were very particular, and I really appreciate how quickly they made things right when anything unexpected came up. Jeremy was so easy to work with and did all he could to ensure the rooms were exactly what I asked for. I will definitely recommend them to family and friends. Thanks, Mercury Contractors! I recommend Mercury Contractors because you did exactly as promised. Our job was of outstanding quality, on time and on budget. The main reason this was possible was that when unexpected things came up you took care of things. For example, the doors ordered had small bubbles after painting. Instead of asking us to accept shoddy workmanship or pay for new doors, Mercury upgraded all of the doors used in our basement. Another example was when the stairway ceiling needed to be painted. The painter did not include this in his proposal but it was done and I did not have to pay extra. There were many examples of where something unexpected happened but Mercury took care of it. Please use me as a reference if any potential clients want to talk to a previous customer. We will definitely use Mercury again for any construction job, large or small. Jeff Gehring and Mercury Contractors, Inc. is the best thing that ever happened to me as a home owner. There was this big, catastrophic storm a couple of summers ago that destroyed my roof. Not only did Jeff help me with a very difficult insurance adjuster, he and his crew roofed my house in one week. He pounded the table for me with my insurance company. Jeff is very effective in the roofing business, and at the same time has such a humanitarian and honest character. The men on his crew were reliable, cheerful, hardworking, and careful. I was treated at all times with respect and the crew worked magic. Not only is my roof professionally completed and water-tight, it looks Fantastic! Thank you Jeff and your Mercury Contractors! Jeff Gehring first began his career in construction in 1979 as an apprentice on a house rehabilitation project. The concept is referred to today as a ‘flipping’. The addiction began and he has continued in the field since. He later went on to convert over a hundred homes in the greater Omaha area working personally in all trades of the construction field. In 2005, he partnered with Ed Bueno and together they transformed the company into a general contracting focusing on residential and commercial projects throughout eastern NE. Shortly thereafter, they added an exterior home products division. Jeff has a true passion in restoring older homes and the design/build-out of new construction projects. He feels a strong focus on top quality workmanship and strict adherence to project management has been a key to Mercury’s success. Ed Bueno started construction at the age of 8 where he worked for his dad’s construction company in South Texas. His main responsibility was to make sure all the job sites were kept clean. Ed had a lot of great teachers, as his entire family worked in the trade. 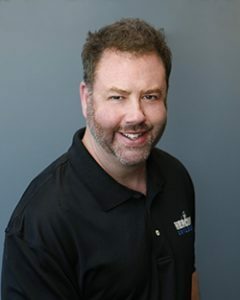 In 1991, Ed moved to Omaha where he started learning the different building codes and began, with great pride and care, applying his skills to various projects. In 2000, Ed and his father started their own company, which consisted of framing, drywalling, masonry work and final construction cleaning. His company eventually led him to Jeff Gehring, as he was in need of a framer for basement project back in 1998. 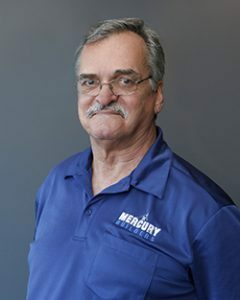 From that point on their business relationship flourished and eventually grew into what Mercury Contractors is today. Ed has two children and stays very busy with their extra curricular activities. Ed believes in giving back to the community through serving and preparing meals for the homeless at the Sienna Francis House. He also enjoys track racing and most of all his family, friends and long term business associates here in Omaha. Lee Sharpe came to us with over 25 years experience in the building and construction industry. 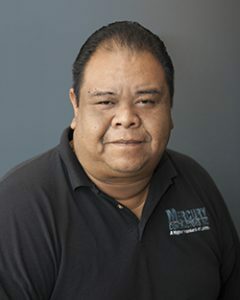 In those 25 years his resume included the following companies: Stone Concepts and Roman Marble Products, Project Manager for Jeck and Company Builders, Gateway Homes and Dave Paik Builders. Lee is very sharp and knows his stuff. His strengths are in project management and organization. He takes pride in ensuring all tasks remain on schedule and on budget. His tenure in the building industry has allowed him to create long lasting relationships with sub-contractors, clients and industry specialists. Lee Sharpe is a true asset to our team!